I have had the pleasure of working with Barbi Breen-Gurley for over twenty years now. 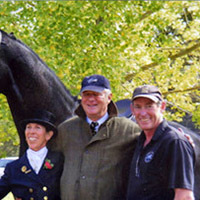 I am very honoured to be included in her team of professionals and be an important part of her ‘circle of influence’ when it comes to the holistic care of her horses. 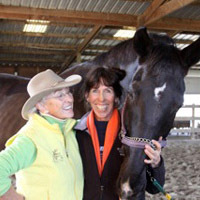 I think Barbi is truly one of America’s best trainers — she has shown successfully all the way up to Grand Prix herself, and most of her students are also our clients. I have been pleased to see an improvement in her horses or in those of her students every time I am there, which is in itself very rewarding for us both. 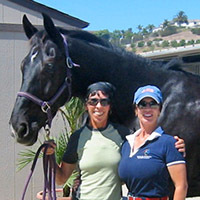 I have worked with Barbi for several years on a number of horses from Training Level to Grand Prix. 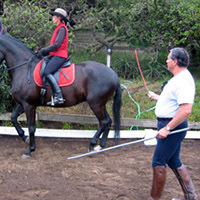 She puts good basics on her horses and they have all shown a happy willingness to work for her. Barbi is earnest to become the best rider she can be; she is hard working and effective in her corrections when instructions are given. She contributes to the betterment of the sport. I have known Barbi for over thirty years and worked with her for over twenty. I have always enjoyed working with her as I no sooner offer a correction and she has implemented it. I have watched her make a number of correctly trained Grand Prix horses. I have been acquainted with Barbi at shows for about six to seven years. We began to work together in clinics more recently. I am extremely happy to see the progress in her horses every time I come. It is obvious she trains with effective attention to correct basics. Each time I am able to move with her to the next level with piaffe, passage, pirouette, and other movements. 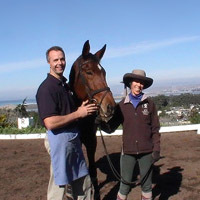 I am very impressed with how nice, quiet and happy the horses are at Sea Horse Ranch. I am also pleased to work with her motivated students. 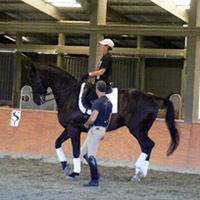 They show talent and love for dressage and are a clear representation of good riding in America. I admire Barbi’s passion and dedication to the sport. 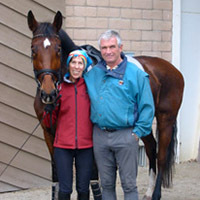 In November I had the pleasure of working with Barbi Breen-Gurley when she attended one of my Tellington TTouch Training weeks with a student and several horses. Barbi brought Tango, the seventh horse she has trained to Grand Prix level. Tango is a very talented horse who tends to be spooky in new surroundings; a behavior found in many sensitive horses, for which TTouch Training is particularly effective. I was very impressed to observe the skill and sensitivity Barbi brings to the training of her horses and her students and I look forward to our continuing exchange of knowledge in the future. We, at DG Bar Ranch are very proud to have three horses shown very successfully by Barbi and we are looking forward to continuing our relationship in the future. Octango has a lot of talent. When are you going to pull the blocks out and really show what you can produce?